Nov. 27, 2017 7:50 a.m. Prince Harry, fifth in line to the British throne, will marry American actress Meghan Markle in the spring, palace officials announced Monday, confirming months of speculation. Markle, a humanitarian campaigner and lifestyle blogger who succeeded in show business before falling for Harry, will become a senior member of the royal family as the wife of one of the monarchy’s most popular figures. Harry, a bad-boy-made-good by his tireless devotion to wounded veterans and his embrace of a variety of charitable causes, has said for several years that he wants to start a family, and the rumours of his engagement to Markle have been flying for some time. The marriage represents a first-ever blending of Hollywood glamor with the once-stuffy royal family, which has of late seemed less fixed in its ways, and brings a mixed-race American divorcee into a highly visible role. Harry’s brother, Prince William, and his pregnant wife Kate welcomed Markle to the royal family. Harry’s father, Prince Charles, told reporters he was “thrilled” with the engagement. “They’ll be very happy indeed,” he said. 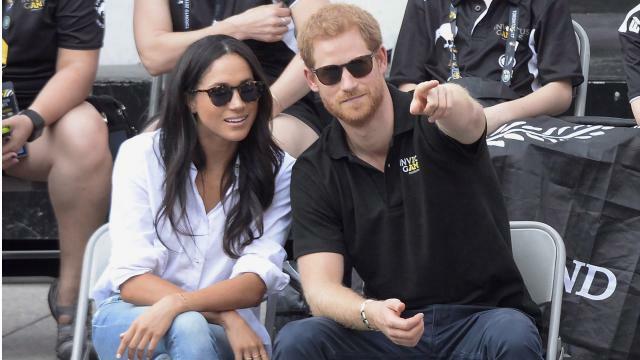 The engagement announcement says the couple became engaged in London earlier this month and that Harry has informed his grandmother, Queen Elizabeth II. It says he sought and received the permission of Markle’s parents. The couple plan to live in Nottingham Cottage at Kensington Palace. Markle is also reported to have started the sometimes time-consuming process of moving her dogs from Canada to Britain. She recently left her television show, a development that helped fuel engagement speculation. Congratulations also came in from the queen and her husband, Prince Philip, and from Prime Minister Theresa May. Markle’s parents also welcomed the news. Markle was raised in the Los Angeles area. Her father is a Hollywood lighting director, her mother a yoga instructor and psychotherapist. In some ways, Markle — a mixed-race American raised in California, an outspoken full-time actress, and a divorcee — makes a surprising addition to Britain’s monarchy. But the institution has moved on with the times, and the romance between Markle and Harry — who has repeatedly stressed his wish to lead as “normal” a life as he could — has a decidedly unstuffy, modern feel to it. The announcement means another grand royal wedding may be in the offing — the first since William and Kate married in 2011 — though it is possible the couple may choose to have a private ceremony, perhaps in a remote location far from the paparazzi who bedevilled Harry’s mother, Princess Diana. Markle, best known for her role as an ambitious paralegal in the hit U.S. legal drama “Suits,” surprised many when she shared her feelings for Harry in a September cover story for Vanity Fair. Harry, once known for his dicey antics, including being photographed playing strip billiards in Las Vegas, has largely charmed the British public with his winning smile, his military career and his devotion to charities aimed at helping disabled veterans and other causes. The 33-year-old prince recently won praise with his work campaigning for more openness about mental health issues. Speaking candidly about his personal struggle to cope with the loss of his mother when he was only 12, he encouraged others to talk about their own problems rather than keeping them bottled up inside. Markle’s Vanity Fair interview broke new ground. It is unusual for a royal love interest to speak so publicly, and candidly, before becoming engaged. Harry’s past reported girlfriends all shied away from the media limelight, and his sister-in-law, formerly known as Kate Middleton, stayed silent until she and Prince William gave a formal televised interview at Buckingham Palace after their engagement became public. It won’t be the first time that a British royal has married an American, or a divorcee. In 1936, Edward VIII famously abdicated after he was forced to choose between the monarchy and his relationship with twice-divorced American socialite Wallis Simpson.